A urostomy is the least common of the three main types of stoma. It is sometimes referred to as an ileal conduit because of the way it is fashioned. Surgery involves removing the bladder (cystectomy) or bypassing the bladder (urinary diversion) and results in the urine from the kidneys passing down the ureters into an isolated segment of ileum which acts as a tube to the body's surface. A piece of ileum about 15cm long is isolated with its blood supply; the small bowel is then joined back together. The ureters are separated from the bladder and joined to the isolated piece of ileum. The ileum is then brought out onto the surface of the abdomen and a spout is formed. Ureteric stents inserted via the stoma at the time of surgery are used to maintain patency of the ureters and are removed 7-14 days post-op. The should be removed only on the advice of the Urologist. A urostomy is generally sited on the right-hand side of the abdomen and ideally has a spout of approximately 25-35 mm. This should be pink in colour and moist. The urostomy has very little or no sensation and will reduce in shape and size between 6-8 weeks after formation. The urine is usually straw coloured but strands of mucus may be visible. An individual may wear either a 1-piece or 2-piece appliance, depending on their lifestyle and personal preferences. Urostomy appliances all have a tap, and patients should be encouraged to empty before the appliance is half-full. 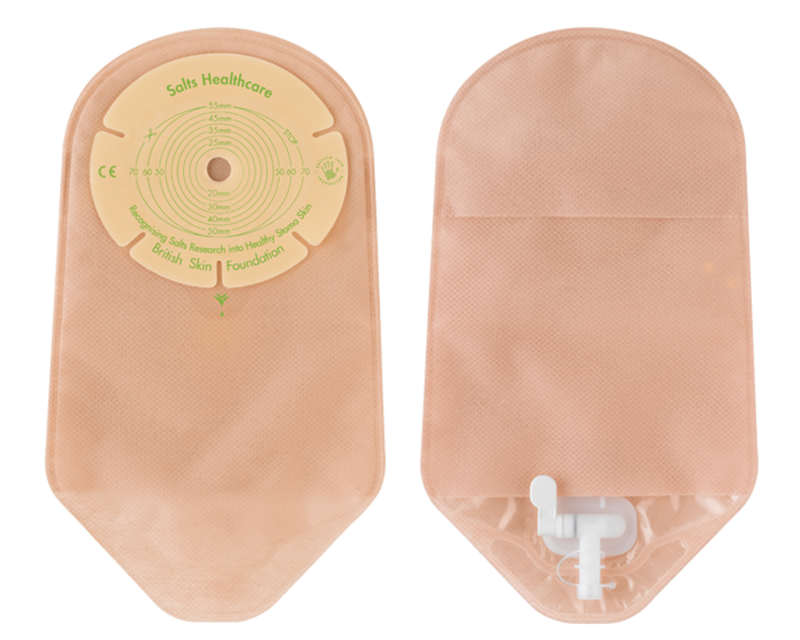 There is also a non-return valve inside the appliance which prevents urine from washing back up around the stoma when sitting or lying down. 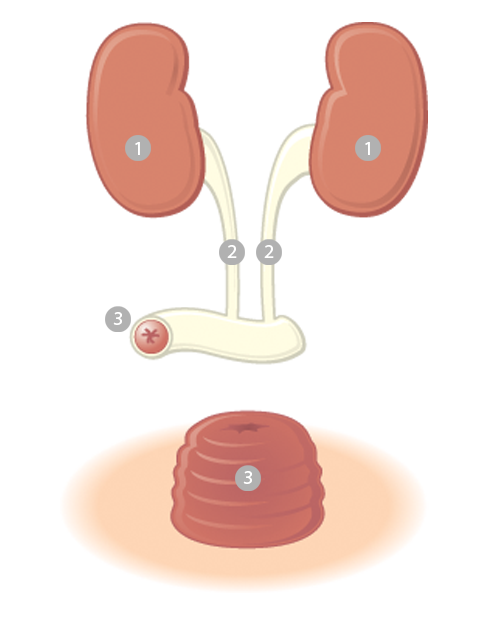 The majority of urostomists will wear a 1-piece appliance which is normally changed between 1-3 days. If the patient has chosen a 2-piece appliance, the base plate will be changed 3 times a week and the pouch every 1-3 days.